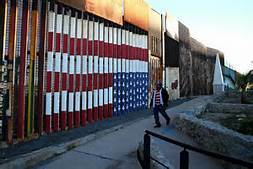 The House has passed initial funds of $1.6 billion to start the US Mexico border wall. 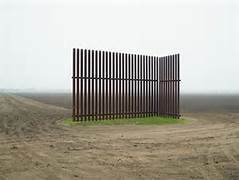 The Mexico US proposed border wall is going ahead as planned and might be going green. 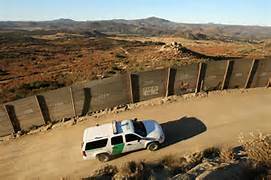 DHS will be starting the US Mexico border wall in the Rio Grand Valley soon to slow undocumented illegal aliens entering the US. Infowars reporter Joe Biggs takes to the sky to demonstrate just how serious this manufactured border meltdown really is. 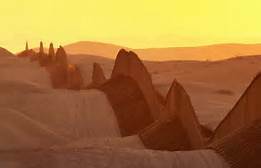 With aerial proof of a nonexistent border fence on a large portion of the Arizona/Mexico border, it becomes even more obvious that the border collapse is an orchestrated and contrived assault on the American people. The border report continues after Alex and his crew pull into a Border Patrol checkpoint roughly 75 miles inland from the Texas-Mexican border. Armed with information about the realities of immigration and border control, Alex skillfully uses the correct words to end his interrogation and quickly send him on his way. There’s a small stretch of soil north of the Rio Grande river that’s still part of the United States, but exists below the Mexican border wall. The Atlantic went inside this no-man’s-land to uncover what life is like in a place that feels like not-quite America, but not-quite Mexico. CNN’s Ed Lavandera gets a rare look at tunnels underneath the wall along the US-Mexico border. As Congress looks to significantly boost funding for the U.S. Border Patrol as part of a new immigration bill, we investigate the impact of the police buildup at a West Texas checkpoint. The Sierra Blanca checkpoint along Interstate 10 was set up to catch major traffickers and immigrants who entered the country illegally. But the checkpoint now busts thousands of unsuspecting Americans a year for low-level drug possession — including some famous musicians. When a headless body washed up in the calm waters of the Texas gulf coast, investigators began to unravel a crime that led first to a drug cartel assassin, then to a locked safe containing​ more than a kilo of cocaine, methamphetamine, a gold-plated pistol— and U.S. Border Patrol agent Joel Luna’s badge.